updated to give you the best flight experience possible. Quickly create videos and share them instantly. DJI’s new Director software, a built-in video editor, allows you to choose the best moments from your flights and build a complete video with music, text, and more. As you are flying, share the view with your friends and the world, live over YouTube. Now anyone can experience the joy of flight, and watch, comment and share your experience in near real time. The DJI Pilot app gives you complete control of your camera. Click on the blue boxes below to see what each part does. Practice flying and perfect your skills without going anywhere. The included flight simulator gives you the lifelike experience of flying your Phantom 3 and using the remote controller in a safe, controlled virtual environment. Learn more about your system and how to use it. User manuals, tutorial videos, and more are built into your app, all to help you get the best flight experience possible. Review all of your past flights, with the time, duration, and a preview of the photos and videos you took. Track your progress and have a full record of past memories. Take pictures, record video, and control camera tilt and settings, all based on your app’s needs. Record and analyze your Phantom 3’s live HD video stream. Use this real-time visual information to make your app more powerful and useful. Full flight telemetry, including the Phantom 3’s live altitude, speed, distance, and more, is available to your app. Program your Phantom 3 to act as your own personal, flying film crew. Set waypoints and assign automatic actions for your aircraft to follow. Select a location or object to focus on, and the Phantom 3 will continuously face it, no matter how you fly. With sensitive control sticks, dedicated buttons, and an over 1.2 mile (2km)* range, your customizable Phantom 3 remote controller gives you a completely new way to fly and interact with your Phantom. Ergonomically built to fit perfectly in your hands, your remote gives you the confidence to fly the way you want. When paired with DJI’s industry-standard gimbal stabilization technology, your camera is held perfectly stable no matter how you fly. This 3-axis gimbal makes complex shots and hovering for long exposure photos easy. 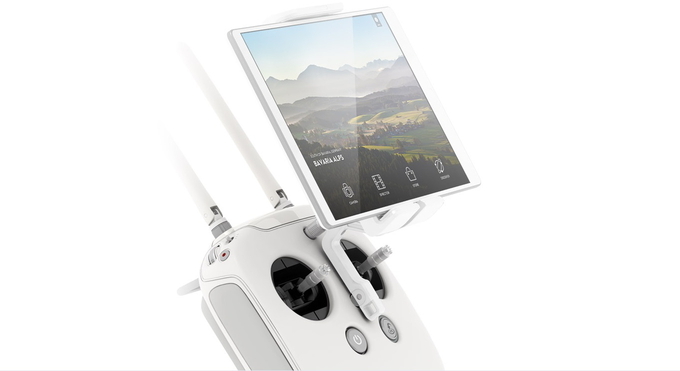 Your camera is capturing smooth, stable footage throughout your entire flight, and the camera and gimbal are fully controllable by the included remote controller and dedicated DJI Pilot app. Maintaining complete control and stability in the air is crucial to every successful flight. The Phantom 3 contains the best and newest DJI flight technology, giving you an enjoyable experience through full, automatic intelligent support. These systems help you fly better and safer, and are designed so that you never have to think about them at all.